To stay up to date on upcoming SUN events, sign up for the local newsletter! It’s with great sadness that we announce the closing of the Sunshine Coast chapter of CreativeMornings. It’s been a wild ride this past year. A million thank-yous to this amazing Coastal community, and everyone who has volunteered their time and energy to growing this chapter, and supporting events in 2018. Huge thank-you to our partners, The Cooperators, Gibsons Tapworks, Capilano U, The Art Farm, FUSE coworking space, and Community Futures Sunshine Coast. Special thanks to Lindyn Williams, an incredibly talented Coastal photographer for capturing the magic of every CreativeMornings event. And shout out to our incredible event day volunteers, Mary Poulin, Ben Borowski, Toni Serofin, and Paula O’Brien for helping to make CM on the Coast come to life. Thanks to CM Oakland and CM Sacramento for hosting our tiny chapter via livestream, and to our wonderful speakers Victoria Maxwell and Leah Goard for sharing your spirit with our audience. The CM Sun chapter was conceived of by our host Altaira Northe, in her journey from hosting the CM Toronto chapter, and picking up her life to move to Gibsons. As circumstance would have, she’s picking up her life and moving again, this time back to Vancouver, for a new job, and for love. Because this small town chapter was a bit of an experiment, relying in part on Altaira’s vision and leadership, we’ve decided to close the chapter with her move from the Coast. 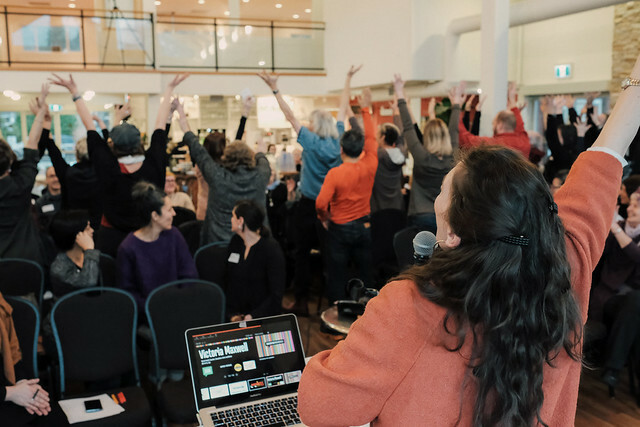 Thank-you for sharing the Sunshine Coast’s creative energy with the larger CreativeMornings community, and we hope to see you in the future, online, or at future CreativeMornings events in one of 180 chapters around the worrd (including Vancouver!). The CreativeMornings Sunshine Coast Team. Big thanks to everyone who was able to make it to our Meet and Greet event this past week! In case you weren’t able to join us, we’ve put together a quick summary here to let you know what you missed. Altaira Northe is a newbie to the Coast (she moved here 6 months ago) and is the former host of CreativeMornings Toronto. When planning out her move to the Sunshine Coast, she knew that she wanted to bring some of that CreativeMornings magic with her. A few chats with HQ later, and CreativeMornings Sunshine Coast was born. To connect with our host about this new chapter, or anything outlined in the blog post below, please email Altaira at sunshinecoast@creativemornings.com any time. In 2008, Tina Roth Eisenberg (Swissmiss) started CreativeMornings out of a desire for an ongoing, accessible event for New York’s creative community. The concept was simple: breakfast and a short talk one Friday morning a month. Every event would be free of charge and open to anyone. Today, attendees gather in cities around the world to enjoy fresh coffee, friendly people, and an international array of breakfast foods. 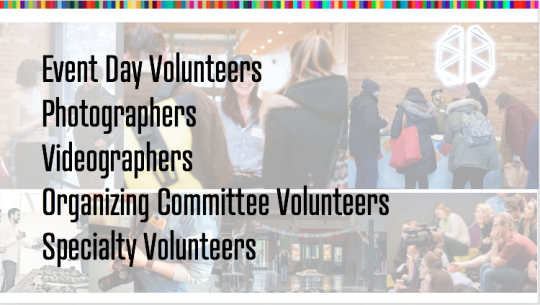 Volunteer hosts and their team members organize local chapters that not only celebrate a city’s creative talent, but also promote an open space to connect with like-minded individuals. In short, it’s a volunteer-run breakfast lecture series on creativity, that’s free to attend; coffee and breakfast are provided. But to help you understand the true magic of CreativeMornings, we recommend checking out this video from the 2016 CreativeMornings Summit in Austin. How will CreativeMornings be different on the Coast? We’re a small community, and CreativeMornings is usually held in larger urban centres. To ensure long-term speaker sustainability, we proposed a new rural model to HQ and we’re going to be piloting this model in 2018. Once a quarter, we’ll have an in person speaker from the Sunshine Coast community. The other 8 months of the year, we’ll still have a breakfast and coffee gathering, but instead of a real like speaker, we’ll be video-conferencing into another chapter’s talk in our timezone. Pretty neat, right? Our first video-conferenced talk will take us to CreativeMornings Oakland in February. We’re going to do our best to provide interaction with our hosting chapter, which might include asking one question during the Q&A or setting up a video booth so that Sunshine Coasters can interact with attendees from the hosting chapter. We have one year to test out this model out, so we need your help to make it as successful as possible! 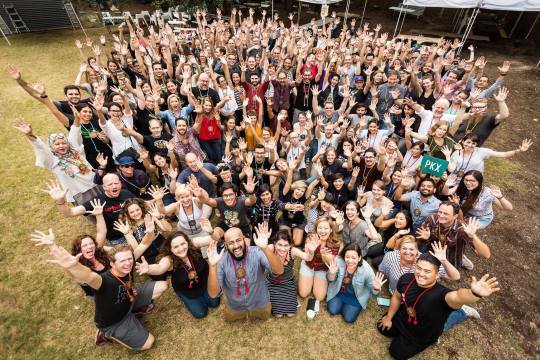 There are a few key things that we need to make CreativeMornings Sunshine Coast a hit – speakers, volunteers, sponsors, and you! Four speakers a year will take the stage and share their creative journey with the CreativeMornings Sunshine Coast audience. Our vision of “creative” includes more than just artists – in the past, speakers have included activists, chefs, scientists, tarot card readers, farmers, runners, and you name it. If someone has an interesting story to share about how they are doing what they do creatively, we want to hear about them. We also care deeply about highlighting a diverse range of speakers, and are actively working to ensure that speakers include women, people of colour, LQBTQ+, and other marginalized groups. Event Day Volunteers – folks to greet attendees and sign them in, set up breakfast, and help with venue setup and takedown before and after the event. Photographers – to take event day photos to capture the speaker, audience, and sponsors each month, and showcase what’s special about CreativeMornings and life on the Sunshine Coast, and share with the community here, and around the world. Videographers – each event with a live speaker needs to be filmed and edited so that we can share it with Sunshine Coasters who couldn’t attend, and also the global CreativeMornings community. Organizing Committee Members – want to step up your commitment? Each CreativeMornings chapter has a group of dedicated volunteers that are involved in planning each event and the strategic direction of the chapter. These folks usually meet once a week, and attend events each month. Each chapter is a little different, but some roles might include graphic designer, audience engagement, sponsorship, or volunteer coordinator. Specialty Volunteers – these could be one off volunteer gives for folks with specialized skills who want to share their offering in a targeted way. This could be an accountant who advises the chapter once a year or an animator who creates a short promotional video. We’re excited to get to know this community, and to collaborate with people interested in supporting the creative community here on the Coast. Have an idea for how you’d like to volunteer? Get in touch! We’re open to ideas, and we’re excited to see how the CMSun chapter evolves as it grows. Another key piece of the CreativeMornings community is the amazing businesses and people who partner with us as sponsors. Venues – we love giving attendees an inside look at the different beautiful, hidden, and interesting venues in our community. We’re really excited to showcase local venues here on the Sunshine Coast and share them with the global community. Breakfast and Coffee (and tea) – free breakfast and coffee are provided at every CreativeMornings event. This is made possible through the generous support of partners who provide in-kind breakfast items, or cash sponsorship to pay for breakfast catering. Equipment, Services, or Things – this could include things like in-kind AV rentals or donations, video editing services, a photo booth setup at an event, an audience giveaway, or a thank-you gift for one our speakers. Flair!!! 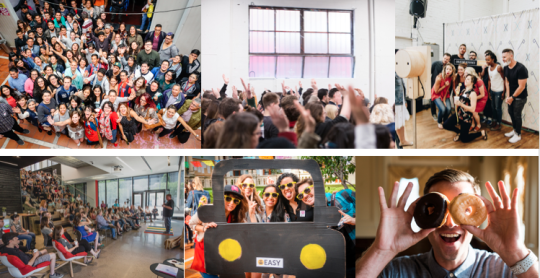 – printables, bunting, signage… we love collaborating with partners to bring a little magic to the in-person experience of attending CreativeMornings. 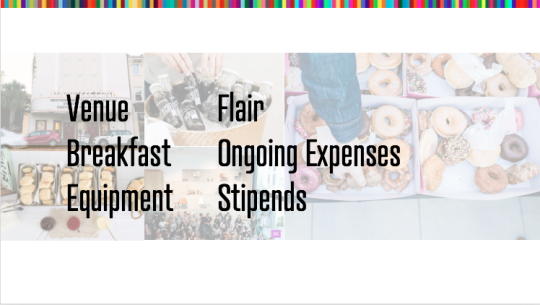 Monetary Support – we have a few different tiers available for sponsorship of CreativeMornings events. Monetary support helps us to do things like pay for breakfast, venues, and AV rentals (when not donated), cover small stipends for photography and videography volunteers, and ongoing expenses like bookkeeping software. We’re really interested in having collaborative relationships with partners that make each event they participate in unique. As the name CreativeMornings suggests, we like to get creative with how we roll partnerships out, and highlight the people and businesses who support the creative community on the Coast. Last, but definitely not least, we could not do this without people like you who show interest, and spread the word, and suggest speakers, and show up to events and bring their friends. Attendees of CreativeMornings are a truly special bunch. We can’t wait to meet you all, and hear your thoughts and ideas for how to support a thriving creative community on the Sunshine Coast. To keep up to date on CreativeMornings Sunshine Coast, you can sign up for our newsletter on the right-hand side of our chapter’s homepage. CreativeMornings Sunshine Coast is set to launch in January 2018, and we couldn’t be more excited to take this monthly event Coastal.But what is CreativeMornings? In 2008, Tina Roth Eisenberg (Swissmiss) started CreativeMornings out of a desire for an ongoing, accessible event for New York’s creative community. The concept was simple: breakfast and a short talk one Friday morning a month. Every event would be free of charge and open to anyone. Today, attendees gather in cities around the world to enjoy fresh coffee, friendly people, and an international array of breakfast foods. Volunteer hosts and their team members organize local chapters that not only celebrate a city’s creative talent, but also promote an open space to connect with like-minded individuals. We’re excited to be piloting a new model of CreativeMornings designed for chapters outside of urban centres. The Sunshine Coast has a vibrant, thriving, creative community, and CreativeMornings aims to highlight the talent here on the Coast, provide a community meeting place for creatives, and build connections between Coastal and urban creative communities. But we could use your help! We are embracing the face-to-face, personal connection spirit of the Coast, and inviting you to join us to learn a little more about CreativeMornings, and to hear your thoughts on future speakers, venues, and partners, as we look to connect the creative community on the Sunshine Coast. 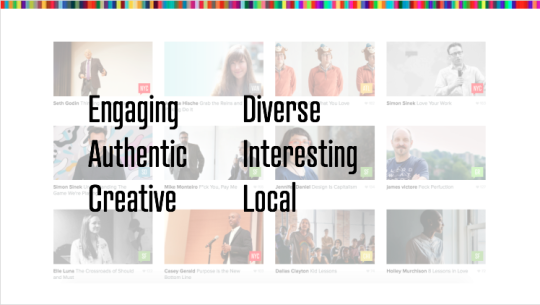 What: Brief presentation about what CreativeMornings is, and what we hope to grow on the Coast, followed by a mix-and-mingle. Can’t make it on November 7th? Our host, Altaira Northe, is happy to book a call or coffee to get together and chat about ways to support the growing creative community on the Sunshine Coast. You can also email us any time at sunshinecoast@creativemornings.com.